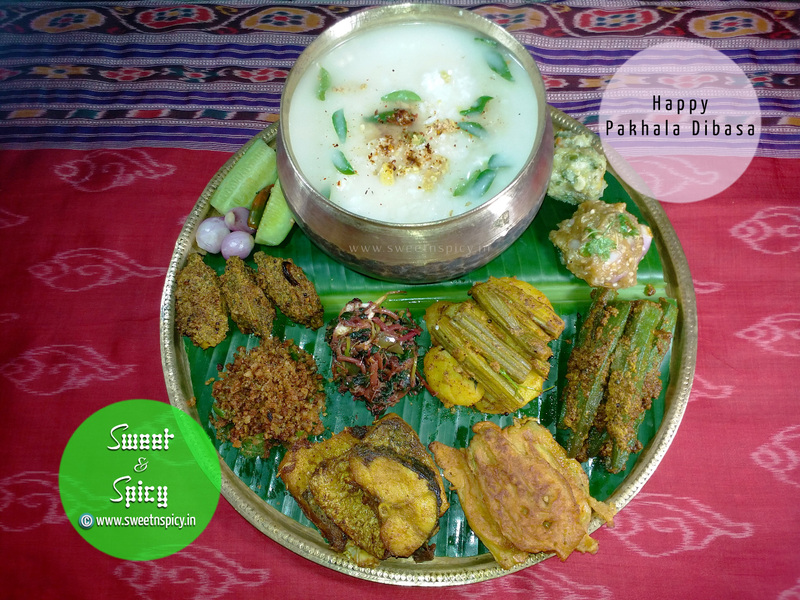 With this Pakhala spread, I wish all my fellow Odias a very Happy Pakhala Dibasa. The accompaniments for the Dahi Pakhala are: (starting from top right) alu bharta (mashed potatoes seasoned with condiments), baigana bharta (smoked brinjal mashed with choppd onions, green chillies, mustard oil and finely chopped coriander leaves), masala dia gota bhendi (okras stuffed with grounded garlic, red chillies and mustard paste and then cooked over low-medium heat), chuin alu bhaja (drumstick pieces cooked with potatoes, tomatoes and other spices), kakharu phula bara (pumpkin flowers dipped in a batter of gram flour and then shallow-fried), rohi macha bhaja (fried rohu fish), koshala saga badi bhaja (amaranth leaves stir-fried with finely chopped brinjal, badi, garlic and spices), badi chura (crushed badis mixed with mustard oil, garlic, grounded green chillies and salt), masala dia gota kalara (steamed bitter-gourd stuffed with grounded garlic, red chillies and mustard paste and then cooked over low-medium heat), kakudi (cucumber), gundi piaja (baby onions), luna (salt) and kancha lanka (green chilli). Pakhala Bhaata (or fermented water rice) is something that Odias can't do without. 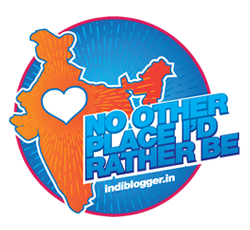 It is as much a part of our cultural identity as the Puri Jagannath Temple. Relished by both the poor and the rich alike, it has been an integral and inseparable component of an average Odia's diet since time immemorial. In fact Lord Jagannath's Chappan Bhog (the list of 56 delicacies that is offered to him as prasad) at the Puri temple includes Pakhala - Dahi Pakhala and Ada Pakhala are offered to Him every day, thereby implying that Pakhala dates back to the 10th century AD. Since the last few years, Odias the world over have been celebrating "Pakhala Dibasa" or "Pakhala Day" on 20th of March, in honour of the humble dish that is unique to the state. On this day, the members of the Odia community can be seen enthusiastically preparing a pakhala spread and inviting their friends over to share their joy. As for choosing March 20, well, there couldn't have been a more apt date for "Pakhala Dibasa" as co-incidentally, 20th of March is also celebrated as International Day of Happiness. What could be more blissful on a hot, summer day than slurping on a bowl of Pakhala? It's hard to resist when you have a bowl of Pakhala and an assortment of tantalizing side dishes staring at you. Given the range of delicious accompaniments that are served with it, a pakhala treat unfailingly results in a wonderful melange of flavours and colours. Thus you can't blame an Odia for suddenly turning into a glutton on seeing a Pakhala spread.